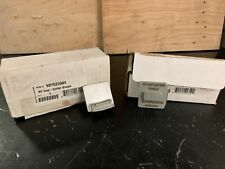 HUSQVARNA PART# 5875225-04 RT SINGLE CAP CUTTER. SOLD INDIVIDUALLY. The 4-1/2 in. STILL CHEAPER THAN OUR CLOSEST COMPETITOR. 4.3 amp 4-1/2" ANGLE GRINDER WITH THE GRINDINIG WHEEL~. 4.3 Amp Angle Grinder. IT'S THAT EASY "FOR FAST AND FREE". Features include easy-to-read markings and a handy thumb lock. 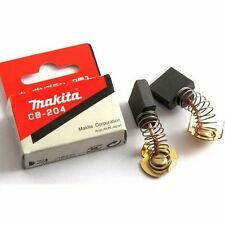 Genuine Makita Stator Field Parts for 9526PB 9527PB 9527NB 9528PB 9528NB 220V. Cincinnati universal grinder with centers and small work head . These are brand new. In this sale you will get 10 packs of 100 disks ...... I am not endorsed, sponsored or affiliated with the brand name owner. 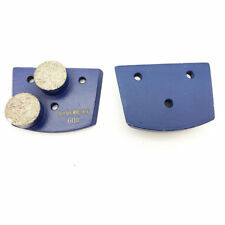 Grinding wheel and mounting fixture -- designed to be mounted on a 1 1/4 in. 4-1/2" SMALL ANGLE GRINDER. Item Angle Grinder. Switch Type Trigger. Includes SAG, Type 27 Guard, Spanner Wrench. Spindle Thread Size 5/8"-11. No Load RPM 11,000. Wheel Dia. Speed Type Single. The use of a shroud prolongs the life of the tool by preventing abrasive dust and debris from entering the motor. MK Diamond Model No. 170762. Brick & Block Saws. 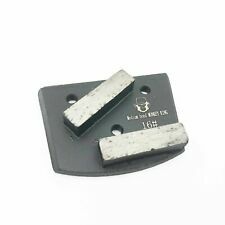 We have a wide variety diamond blades for all types of jobs, cutting and machines from two world leaders in quality diamond tool products. This is a Jet bench grinder. Item Bench Grinder. Wheel Material Aluminum Oxide. Finishing Wheel Width 1". We have inspected this item and it powers on when plugged in. We are unable to test the item any further. Bare tool / Body only. Max Wheel Size : 38mm. in wood : 38 mm. High performance 25,000rpm no load speed. SC70 7" Hand Held Diamond Grinder. Hinged flexible convertible shroud. Includes one FREE 7" cup wheel of your choice below Compact - ideal for edge work. i-SASE makes every effort to provide unsurpassed service. Grit size:16/20 grit. Double Square Quick change Concrete Floor Grinding Disc. Design for f loor grinding (leveling uneven spots or joints), polishing and thin epoxy coatings removal. Best for grinding hard concrete, also good for thin epoxy, paint, VCT/carpet glues removal. Grit size:30/40 grit. Double Square Quick change Concrete Floor Grinding Disc. Design for f loor grinding (leveling uneven spots or joints), polishing and thin epoxy coatings removal. Lower grinding cost per sq yard. Grit size:30/40 grit. Double Square Quick change Concrete Floor Grinding Disc. Design for f loor grinding (leveling uneven spots or joints), polishing and thin epoxy coatings removal. 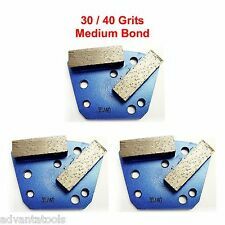 Best for grinding hard concrete, also good for thin epoxy, paint, VCT/carpet glues removal. MK Diamond Concrete Grinder Vacuum Shroud. Each individual shroud includes cup wheel washer, shroud clamp, cup nut assembly and IXL shroud spacers (set of 5). This technology results in less airborne dust, less cleanup and improved grinding efficiency. Grit size:60/80 grit. Double Square Quick change Concrete Floor Grinding Disc. Design for f loor grinding (leveling uneven spots or joints), polishing and thin epoxy coatings removal. Lower grinding cost per sq yard. Overall lenght 3'', shank 1/4'', diamond diameter 3/8'', diamond lenght 1''. Perfect for removing old mortar, grooving in concrete and stone. Super premium quality, specially made for soft mortar. Wet or dry use. 3 (M6) bolt hole pattern. Designed forall kinds of tough coatings and adhesives removal, including epoxy, urethane, paint and the like materials. Best for thick epoxy and other thick coatings removal, also good for paint, VTC/carpet glues and thin epoxy removal. Fits most floor grinders and polishing machines on the market with Redi Lock system. Grit size:120/150 grit. Design for f loor grinding (leveling uneven spots or joints), polishing and thin epoxy coatings removal. Fits most floor grinders and polishing machines on the market with Redi Lock system. Grit size:30/40 grit. Design for f loor grinding (leveling uneven spots or joints), polishing and thin epoxy coatings removal. Grit size:120/150 grit. Double Square Quick change Concrete Floor Grinding Disc. Design for f loor grinding (leveling uneven spots or joints), polishing and thin epoxy coatings removal. Best for grinding hard concrete, also good for thin epoxy, paint, VCT/carpet glues removal. ORIGINAL PARTNERTUFF CRUSHER. ACTUAL CRUSHER MAY VARY IN APPEARANCE. I am a disable Veteran. I will build your crusher as if I were building it for my best friend and I will do it as fast as possible. Wet or dry use. Designed forall kinds of tough coatings and adhesives removal, including epoxy, urethane, paint and the like materials. Best for thick epoxy and other thick coatings removal, also good for paint, VTC/carpet glues and thin epoxy removal. Grit size:120/150 grit. Double Square Quick change Concrete Floor Grinding Disc. Design for f loor grinding (leveling uneven spots or joints), polishing and thin epoxy coatings removal. Lower grinding cost per sq yard. Grit size:60/80 grit. Double Square Quick change Concrete Floor Grinding Disc. Design for f loor grinding (leveling uneven spots or joints), polishing and thin epoxy coatings removal. Best for grinding hard concrete, also good for thin epoxy, paint, VCT/carpet glues removal. 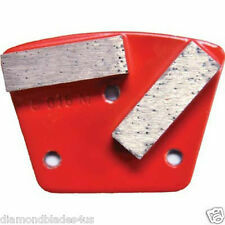 Overall lenght 2'', shank 1/4'', diamond diameter 3/8'', diamond lenght 1/2''. Perfect for removing old mortar, grooving in concrete and stone. Super premium quality, specially made for hard mortar. Maximum cutting depth: 19/25mm. 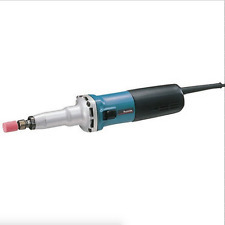 With nozzle for vacuuming dust from cutting stone slabs. We will provide any information needed. Available for local pick up at our office in Hayward, California. FOR SALE IS A USED CHICAGO WHEEL CO. HI-POWER GRINDER. THIS IS 200 WATTS WITH 18000 RPM TO IT. ITS IN GOOD WORKING CONDITION WITH SHELF WEAR, HOWEVER ITS MISSING THE CHUCK KEY. You will not be disappointed. Grit size:25/30 grit. Double Round Concrete Floor Grinding Shoes. Design forf loor grinding (leveling uneven spots or joints), polishing and thin epoxy coatings removal. Best for grinding hard concrete, also good for thin epoxy, paint, VCT/carpet glues removal. 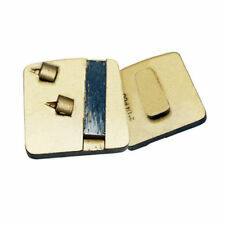 Fits most floor grinders and polishing machines on the market with Redi Lock system. Grit size:16/20 grit. Design for f loor grinding (leveling uneven spots or joints), polishing and thin epoxy coatings removal. Model: 20163. MPN: 20163. Made of Aluminum oxide for long life. A24R type wheel for long life. We are open M-F 8-4 Eastern. We will help you with any warranty issues. We get it to your door. All wheels internally reinforced with the highest quality fiberglass for maximum safety. Craftsman 28441 General Purpose 24 Grit Masonry Grinding Wheel - 4 x 1/4 x 5/8"
Dynabrade 50089 Right Angle Depressed Center Wheel Grinder 2"